Choose from white sand beaches, shallow lagoons or clear blue waters... Tahiti has it all. Now, after having traveled to many South Pacific Islands such as the Solomon’s, Tonga, Cooks, American Samoa, French Polynesia etc. it was a natural expansion for our business to expand to other South pacific Islands and we chose Tahiti! We launched Tahitian Vacations in 2000! We want to share the beauty of the islands and love for the Polynesian people and culture with you! 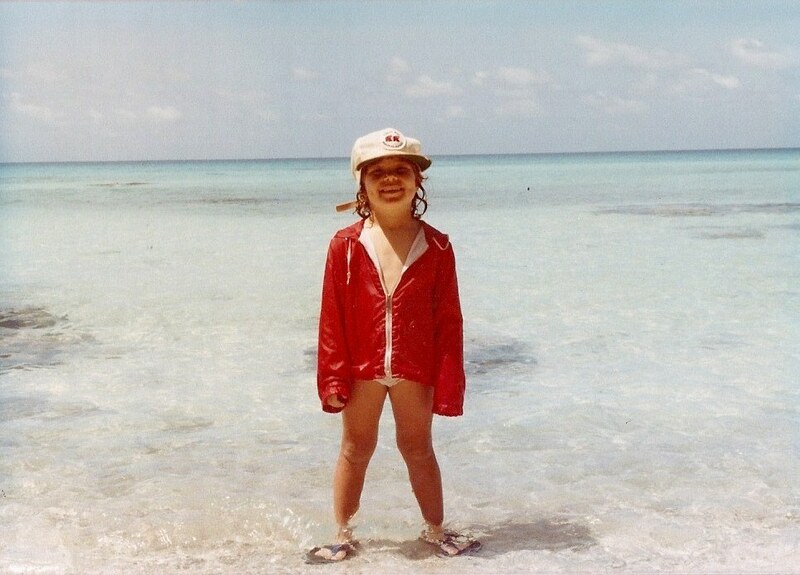 Our CEO and fearless leader behind the Great Destinations brand, Tahitian Vacations a, Fiji Vacations and Fiji Travel Melissa Pomeroy was raised in everything Travel and South Pacific from a very young age! Her parents passion for travel naturally rubbed off. With a mother who was a flight attendant travel was second nature for their family and it was a passion for the whole family. They enjoyed exploring new places, remote places and the thrill of the unknown. 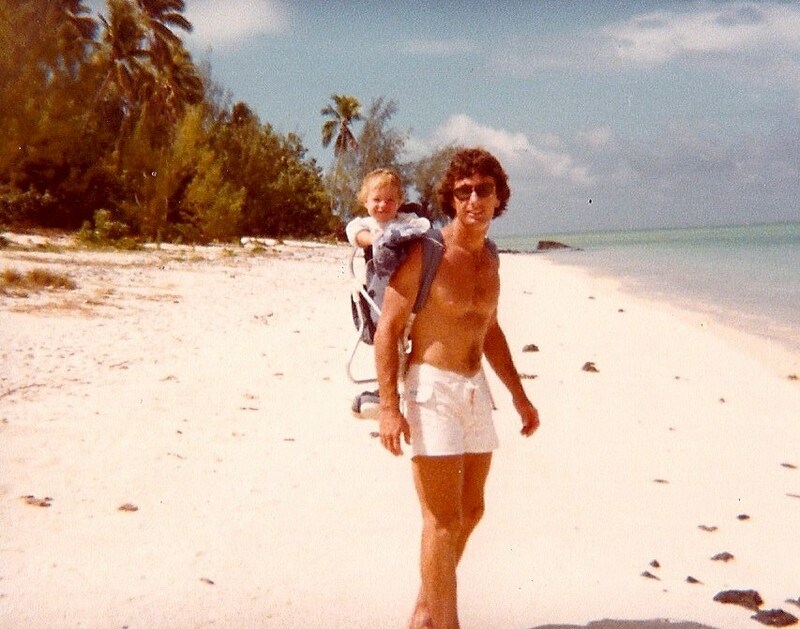 As avid water people the Pomeroy’s were drawn to the South Pacific for the clarity and warmth of the water. We believe in the product we sell and have personally traveled to each of them. After over 20 years in the business Melissa knows the resorts like the back of her hands. Let us help you plan your trip of a Lifetime! Tiffany has a passion for travel and the South Pacific has her heart. Tiffany recently renewed her vows in 2018 on Tetiaroa at the famous Brando. Among her favorite islands are Taha’a, Bora Bora, Moorea and Tikehau (really she loves them all). She has been designing curated travel packages for the last 15 years and has personally traveled to Tahiti over 20 times. Polynesians are known the world over for their easy going approach to life and their hospitality. There are 220,000 people living in French Polynesia, with 74% living on the islands of Tahiti and Moorea. Over 83% of the population is Polynesian, 12% European and 5% Asian. Tahiti was discovered on June 23, 1767 by an Englishmen, Samuel Wallis. Samuel Wallis claimed the Islands of Tahiti as “King George III Island.” He was followed by a Frenchman Louise-Antoine Bougainville on the 6th of April 1768 who claimed the islands for the King of France. Both Samuel Wallis and Louise- Antoine Bougainville were unaware that the other had landed on Tahiti and coincidentally, both claimed the land for their countries. Then along came James Cook on three occasions, 1769, 1773 and 1777. Knowledge and awareness of Tahiti grew as James Cook, a well known scientist and artist brought back thousands of illustrations of Tahitian flora and fauna as well as the first map of the islands of the Pacific. In the 1800’s the arrival of whalers, British missionaries and French military expeditions would create a French- British rivalry for control of the islands. In 1957, all of the islands of Tahiti were reconstituted as overseas French territory called French Polynesia. Today the government enjoys more self governing powers and the Tahitians are renewing their interests in ancestral art and traditions. Tahitians today have inherited a rich from their Maohi ancestors. Maohi oral history recounts the adventures of gods, warriors, and chiefs in colorful myths and legends. In ancient times, javelin throwing was the sport of the Gods, surf riding was also favored by the kings, Aito strongmen competed in an outrigger canoe races and warriors practiced stone lifting in a show of strength. 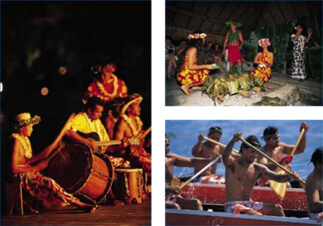 Music and dance are another important component of ancient Tahitian culture. In ancient times dances were linked to all aspects of life. There were dances of joy, to welcome a visitor, to pray to a god, to challenge an enemy, and to seduce a mate. Dance would be and still is accompanied with traditional musical instruments such as thunderous drums, conch shells and harmonic nasal flutes. The word Tattoo comes from Tahiti. The legend of Tohu, the god of Tattoo describes the paintings of all the oceans fish in beautiful colors and patterns. In the Polynesian culture, tattoos are considered signs of beauty and in earlier t imes they were demanded by social custom, particularly for boys as they reached adolescence.